BT-611M Beacon Tester is designed for high accuracy and resolution measurements of the full set of beacon signal parameters to check its compliance with the ones, specified in C/S doc. T.001, T.007. 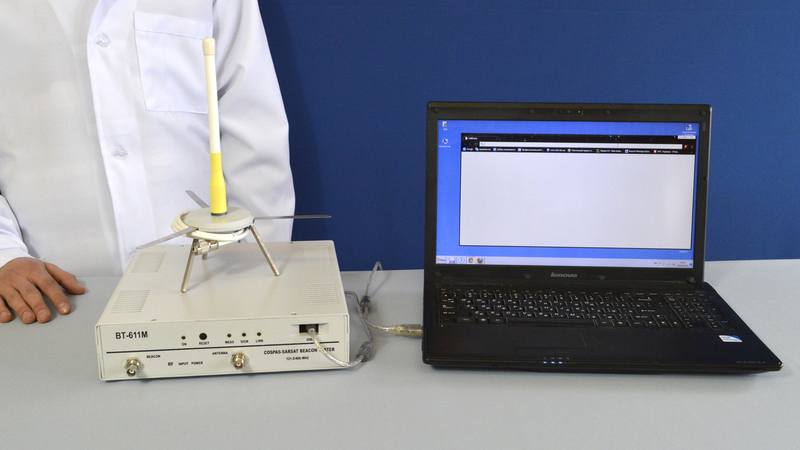 The tester can be succesfully used for Cospas-Sarsat type approval certification process. The BT-611M Beacon Tester is professional specified test equipment for beacon manufacturers or test laboratories, service centers. BT-611M Tester provides visual testing of frequency and phase behavior inside the burst during CW preamble and when it is modulated, statistical frequency stability parameters and, as a useful option to COSPAS/SARSAT requirements - rms frequency variations between the bursts. All specified burst and modulation time intervals are displayed. The Tester provides high stability results when used by laboratories, manufacturers or during field beacon tests. 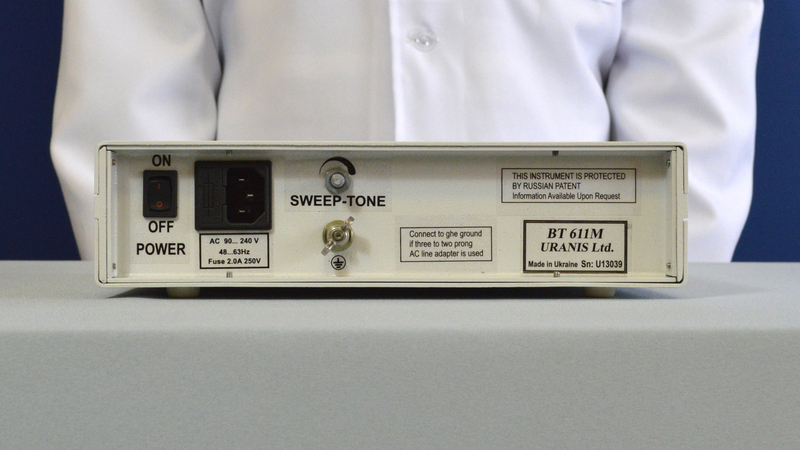 The Tester integrates two independent amplitude and frequency measurement channels for 406.025 MHz and 121.5 MHz beacon transmitters. Any PC or laptop could be connected to the Tester’s USB port. Measurement functions and displayed results formats (graphics or tables) are available by means of special software. 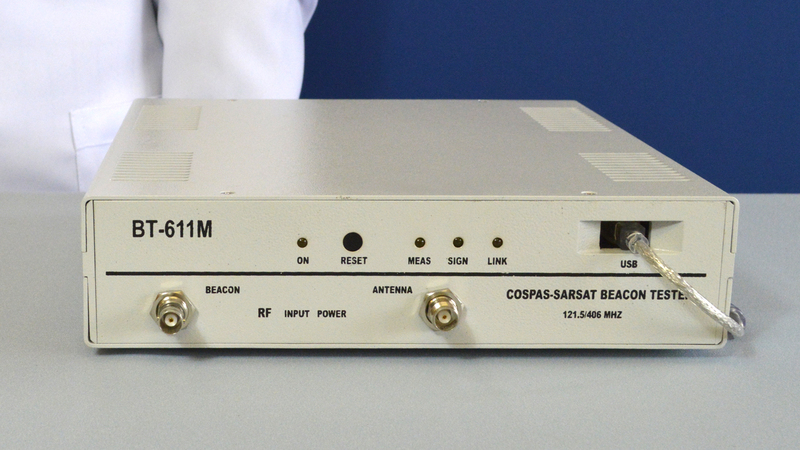 Tester covers wide frequency range 406.00 – 406.1 MHz exceeding all reserved Cospas-Sarsat frequencies. 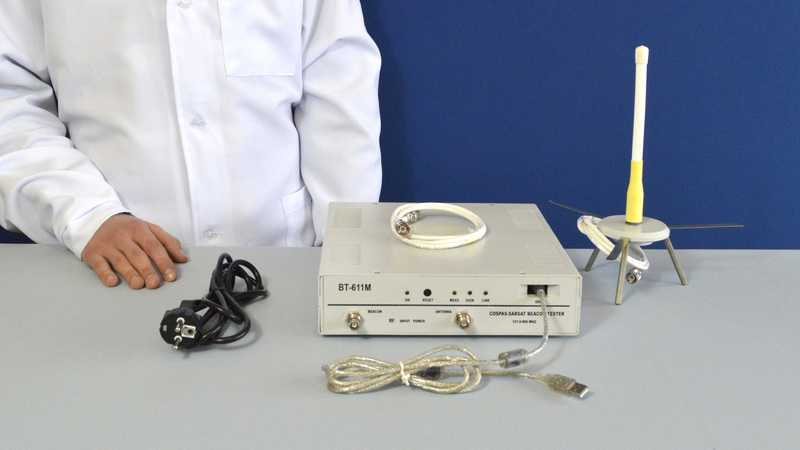 BT-611M can be controlled directly from RS-232 port by remote terminal for programming of automatic tests. The feature allows to integrate BT-611M to complex test system. The Tester provides continuous testing and recording of all ELT parameters which allows to analyze the real-time beacon (ELT) operation during up to 48 hours. The Tester was completely modernized in 2011. The BT-611M Tester is required for annual or issue inspections of beacon (ELT) after or during receiving of type approval. 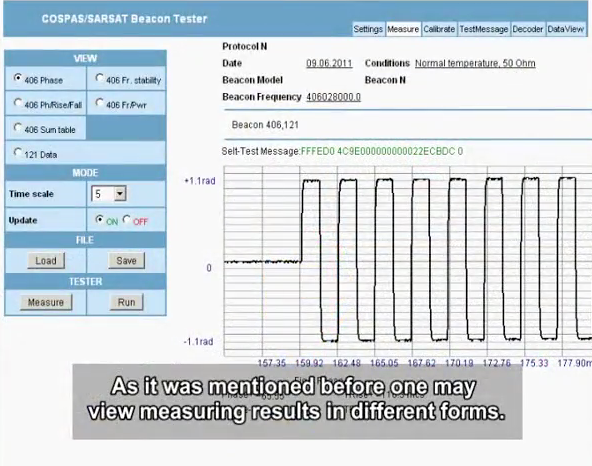 The precision beacon signal parameters are complicated, and could not be measured with the simplified handheld testers. The most complex task is measuring of frequency stability and phase modulation parameters important for reliable communication with satellite and accurate position calculation. 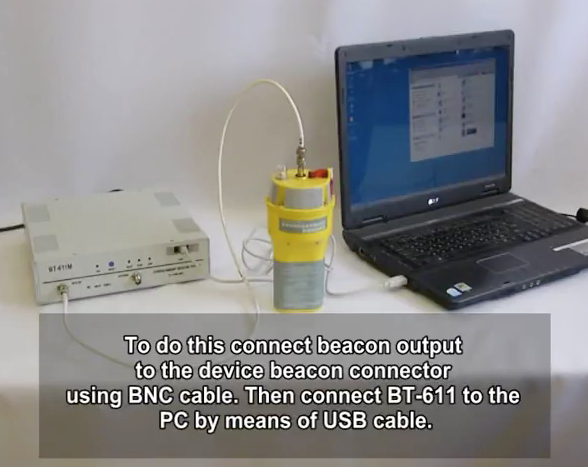 BT-611M Tester provides real time testing of distress beacons, such as ELT. The ELT Testing procedure is simple. Simple steps are required: connect the Tester to PC, connect the beacon to tester, run the software, turn on the beacon and start the testing. All data will be displayed on PC. The tester is desktop professional solution, user-friendly. The tester can be used for testing of any COSPAS-SARSAT distress beacons such as ELT, PLB or marine EPIRBs. The BT-611M Tester requires to be connected to any PC or laptop for proper operation. The connection is carried out by means of standard USB A-B cable and special software. The minimal requirements are Microsoft OS, such as Windows XP, Windows Vista or Windows 7, at least 1 USB port and Internet Explorer 6.0 or higher (or any other browser). No special hardware configuration is required. Also the special FTDI driver should be installed for proper connection. It can be downloaded at our web-site as well. It is very simple to connect the tester to PC. Connect one side of the cable to tester and other to PC. Then install the drivers following the standard Windows wizard. After the driver is installed run the software. No installation is required. Just run the software and start testing. All measuring data will be displayed in tables and charts. • Relative humidity up to 95% at 25°C.